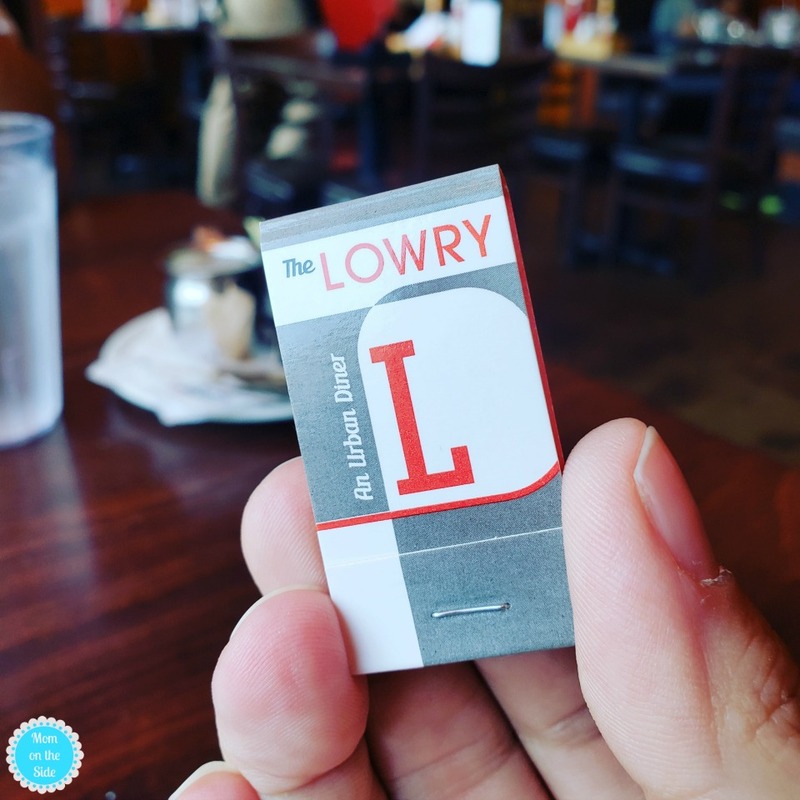 The first morning we were in Minneapolis we hit up The Lowry on Hennepin Avenue. 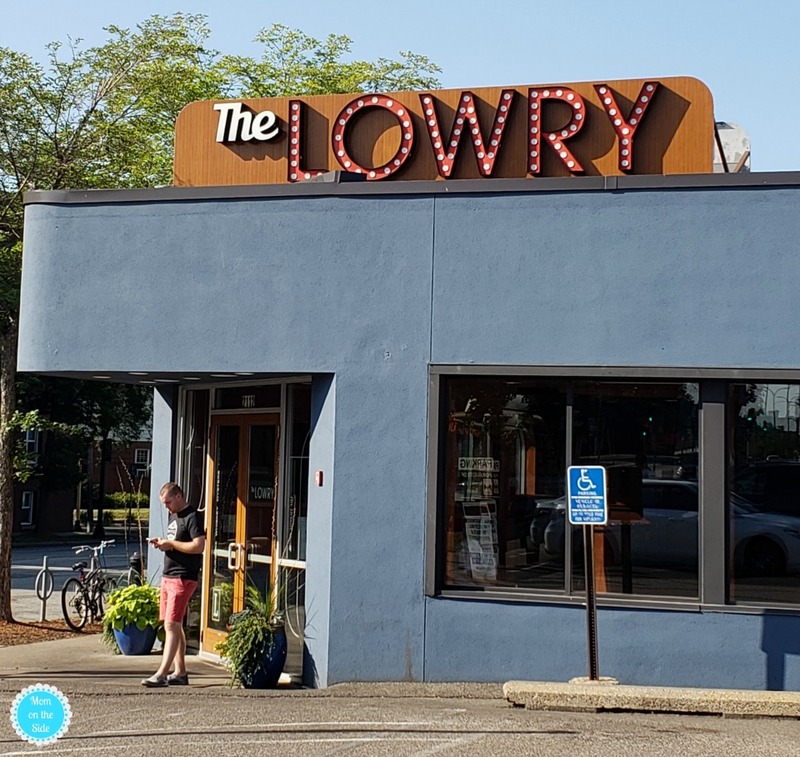 Open since 2011, The Lowry in Minneapolis is your go-to breakfast or brunch spot with an awesome vibe. 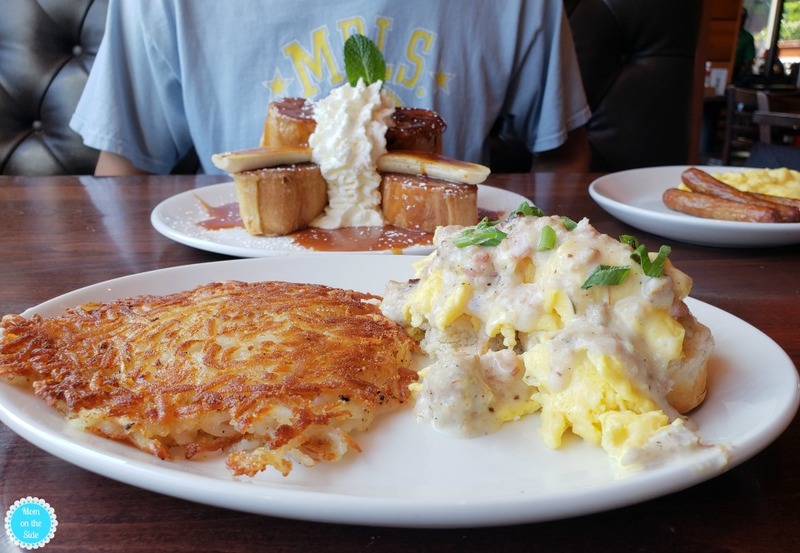 An urban diner just 7 minutes from Loews Minneapolis Hotel, and place you are sure to leave with a full belly. 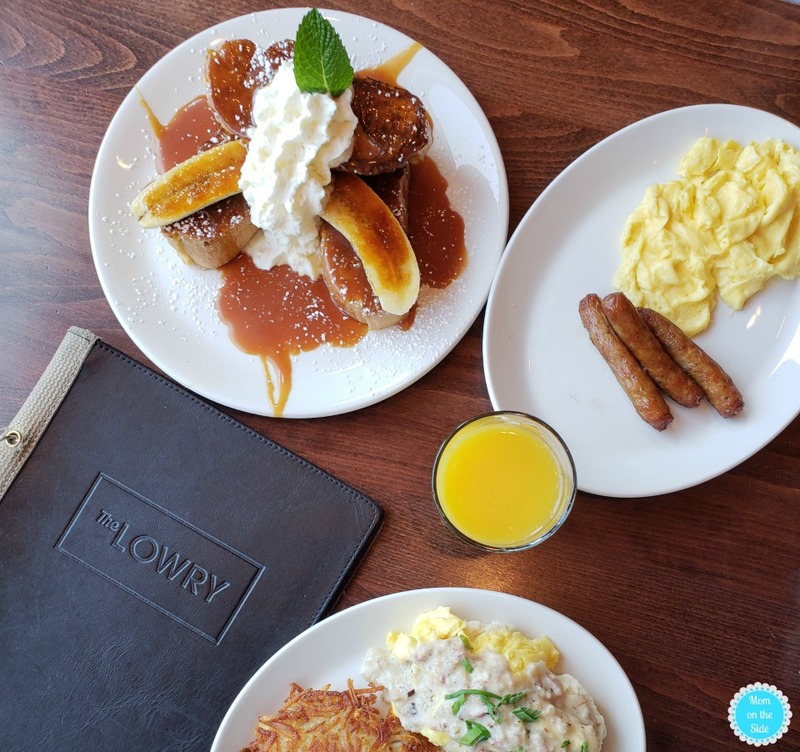 Open until 2pm, The Lowry in Minneapolis serves up everything from knock-your-socks-off breakfast plates to bison burgers to oysters. 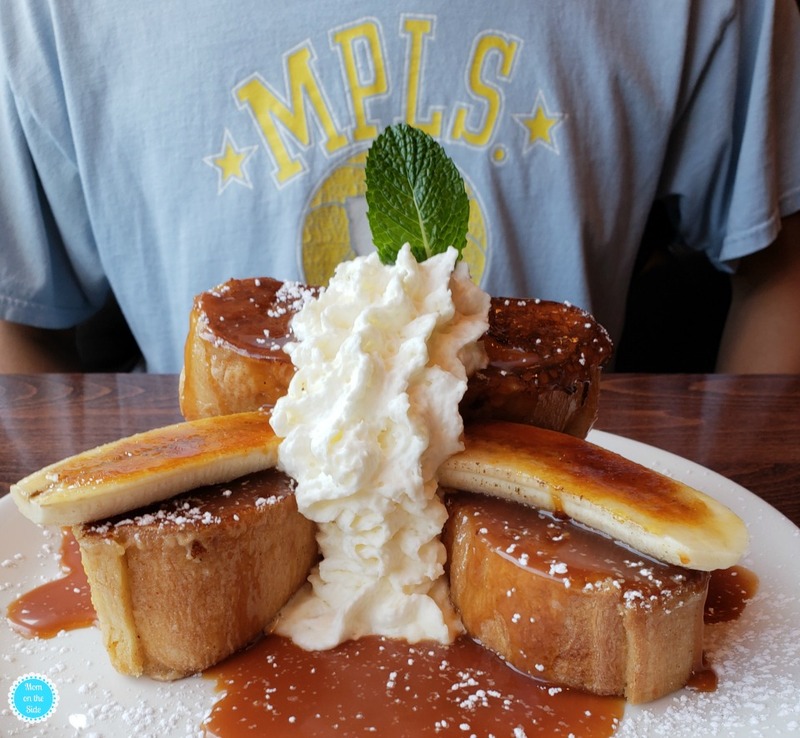 If you are looking for great places to eat in Minneapolis, this is one of them! We were there for breakfast so my husband couldn’t pass up Banana Stuffed French Toast. French toast stuffed and topped with caramelized bananas, banana custard, and salted caramel. He begrudgingly shared a bite with me and I’ve gotta say it was pretty amazing. While is plate looked delicious I was busy drooling over my Biscuits & Gravy. Oh Mylanta! I was surprised to see the eggs between the buttermilk biscuits and sausage gravy but my taste buds excitedly enjoyed the combination! 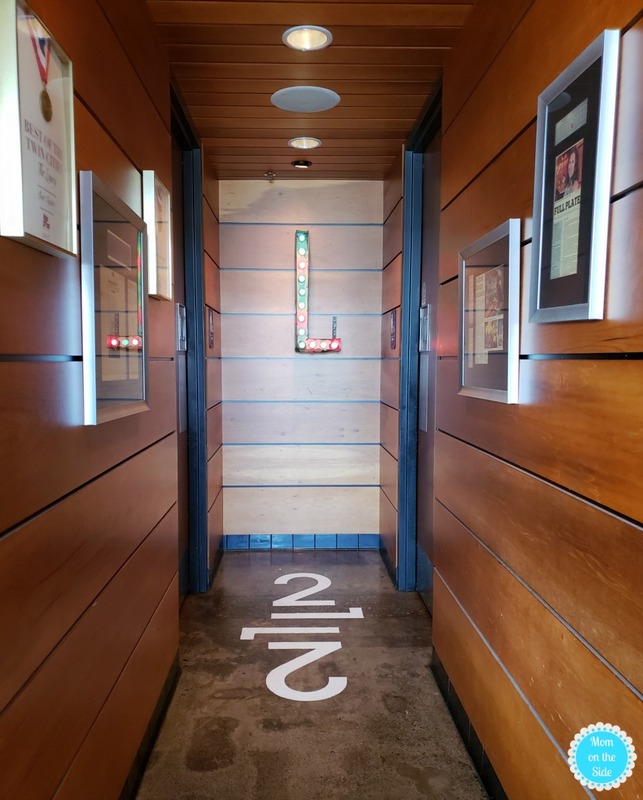 It wasn’t just the food at The Lowry in Minneapolis that I fell in love with. It was also the vibe of the entire place, and the decor, and the fun little items on the table. 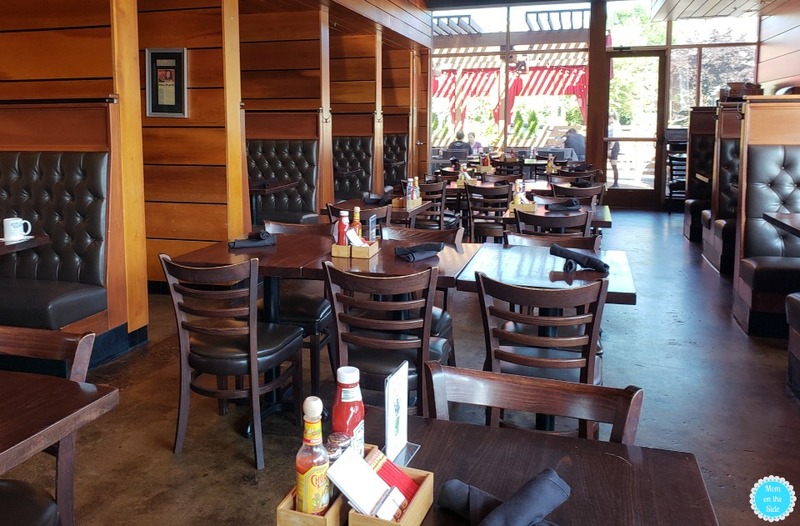 When is the last time you saw matchbooks in a restaurant?! I remember when everywhere had their logo on them. 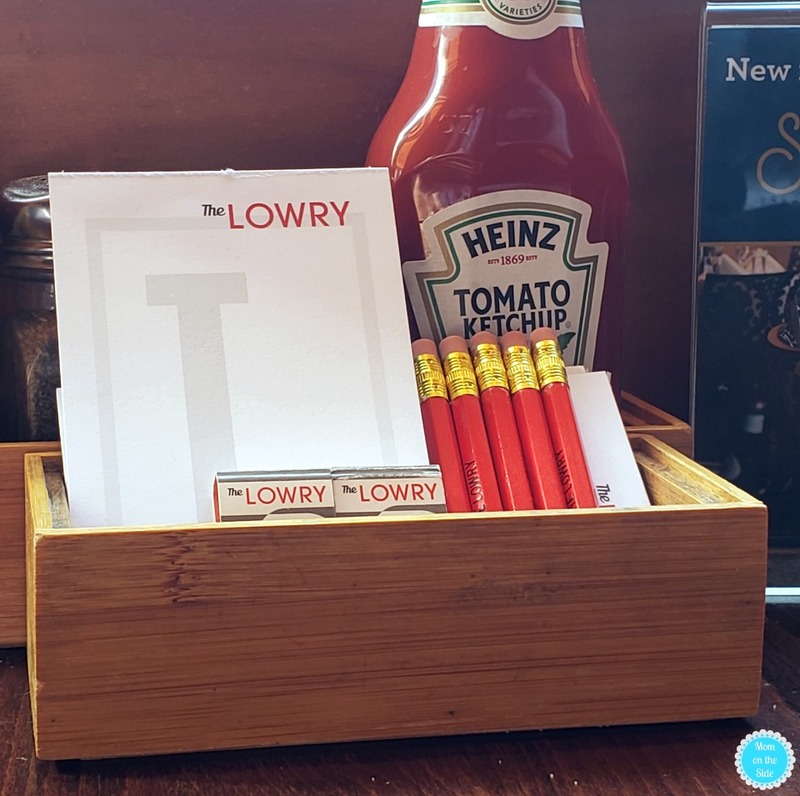 I can’t say enough great things about The Lowry in Minneapolis and it’s a place we will stop at every time we’re in town! Next time though, I’m going with the Nutella Waffle. Or maybe Spinach Frittata. The Chilaquiles also sound good and basically, I want to eat all the foods at The Lowry!